This extensive list of foreclosed properties is updated every 15 minutes with new listings along with all recent price reductions. Most listings have interior and exterior photos showing the property’s current condition, special features, upgrades and community amenities. 1. Get preapproved for a mortgage and request a bank letter or show proof of fund if paying cash. 2. 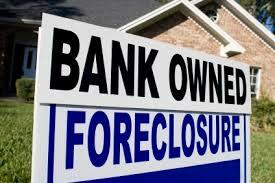 Find an agent specializing in foreclosures and the various forms of distressed properties. 3. Thoroughly inspect the property condition inside and outside. Most properties are subject to a home inspection within 7 days of the contract acceptance. 4. Study the sale prices of comparable homes in the surrounding geographic area. 5. Remember the sale is for the "AS-IS" condition. The bank usually will not make any concessions in the price or terms. Carol and Joe have extensive experience listing and selling foreclosures in Southwest Florida with Freddie Mac and Fannie Mae distressed properties. For additional information on any of the listed properties, please call, text or email Carol and Joe with the property details and we will schedule a showing for you right away. HOW MANY OF YOU REMEMBER SEEING THIS FAMOUS BONITA SPRINGS LANDMARK? The long vacant replica of a Spanish galleon on U.S. 41 came tumbling down Friday, November 13, 2015 in a spectacle worth of the Sunshine State and so went another piece of weird Florida! Excavators crunched through the stucco and wood of the 4,000-square-foot ship before an audience of 100 or so people, news trucks and drones. Retirees in golf carts joined dignitaries, developers and fans of the 20-year-old ship as pirates protested the ship's demise with signs: "We are not arrrright with this" and "Yo ho ho and a bottle of … Ensure? The sign out front was a wink to what's replacing the ship: Diamond Oaks Village, a 160-unit deluxe community for people over the age of 54. It promises two buildings along with offerings like a dog park and bocce court. "Farewell Ole' Mate!"